Newman arrives at Buenos Aires. He's DJ & producer from New York, with new music under the label of Lee Burridge and a show at The Bow this weekend. We interviewed him. 1) What are your feelings about the fantastic "The Long Yourney" from last year? It was a turning point for me, because i had set myself the goal to release my music on All Day I Dream. When it actually happened it was the result of many years of perseverance in the music industry, hence the name “The Long Journey”. And when it topped the Beatport Deep House chart for as long as it did, it really was an unexpected surprise and immense feeling of satisfaction. 2) And some words about your new "Tears of Rain", from TRYBESof new label? When Lee Burridge asked me to be the first release on his new label TRYBESof, I was flattered and honored. It is a direct continuation of my previous work. “Tears of Rain” is part 2 of “The Sky and The Earth” from another EP on Tale & Tone and “After the Storm” is part 2 of “The Long Journey”. I like to create continuity in my music and further explore previous ideas with different themes. 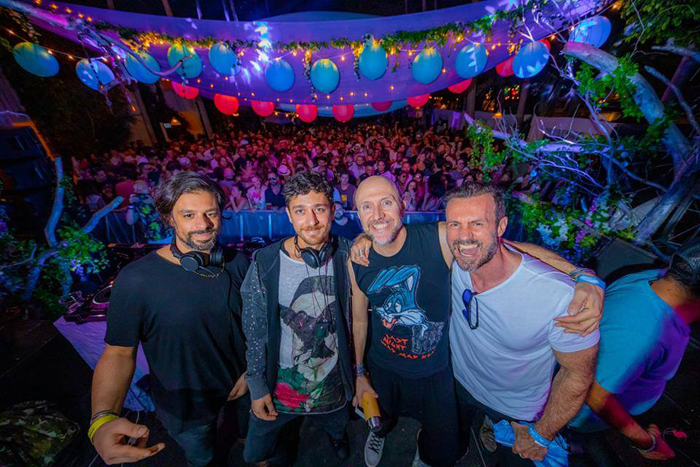 3) Can you tell us something about the connection with Lee Burridge? I approached him in New York before he started playing at an intimate show. He started off by giving me a hug and when I told him i had music I thought he might like for his labels, he gave me his phone number. I thought it was odd since the man did not know me and since he is always so solicited. He later told me that he had felt this good energy from me and he had instantly trusted me. It is the same trust that drove him to listen to my work which he signed. Lee is a man who relies on his emotions and first instincts and so do I, it is what connects us. I am happy to consider him a friend now. He has my complete love and devotion just like I have his. 4) You have an upcoming show in Buenos Aires at's The Bow. What are your feelings about that ? We can't wait to enjoy your live music!!! I am so excited about this show because first, I know Argentina and Argentines very well as I was married to a Cordobesa for 10 years (I am now married to a Brazilian woman, please be nice to her! ), and second because the Argentine people are known for being some of the most devoted and passionate in the world. It is my first time playing there and the Bow is the best possible venue for me to showcase my music and talent. Warm up Simon Vuarambon [All Day I Dream - Shanti Moscow Radio]. 5) What's are your feelings about touring with All Day I Dream family this year? All Day I Dream is like a family. All the artists know each other, like and respect one another. Because the music we make is driven by our individual emotions, we all connect on a very deep personal level and without any ego. It is such a pleasure to reunite around the world for a few hours and share moments together. Our fans and so devoted and so passionate that we always want to give them our very best with each set we play. Protein bars, apples and headphones.